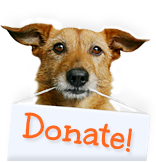 If you resolved to get more exercise and do more to help animals in 2018, we have the perfect opportunity for you! 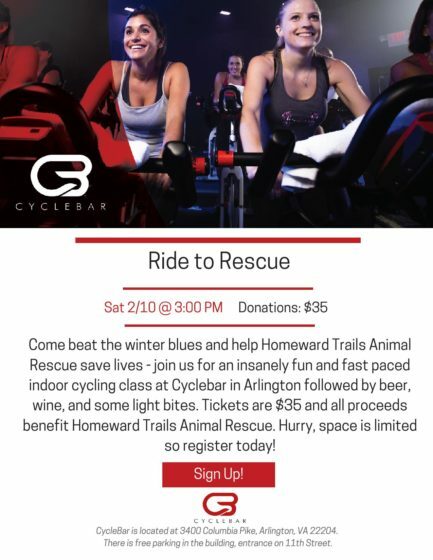 On February 10, join us at Cyclebar on Columbia Pike and ride to the rescue to help Homeward Trails animals. Enjoy a fast paced and fun indoor cycling class followed by beer, wine and some light bites with your favorite animal lovers. Space is limited so reserve your spot today for just $35. See you there!